A yellow-eyed penguin is eager to catch the next flight home after a solid recovery at Massey University’s Wildbase Hospital. The penguin, which came to Massey on December 8 from the Otago coastline at Long Point, received lacerations to his or her hock [a joint in a hind leg], which required surgery for an infection and tendon injury. After the surgery a cast was put on to keep the leg immobilised for healing. Supervisor wildlife technician Pauline Nijman says while they don’t know how the injuries occurred, recovery has gone well. 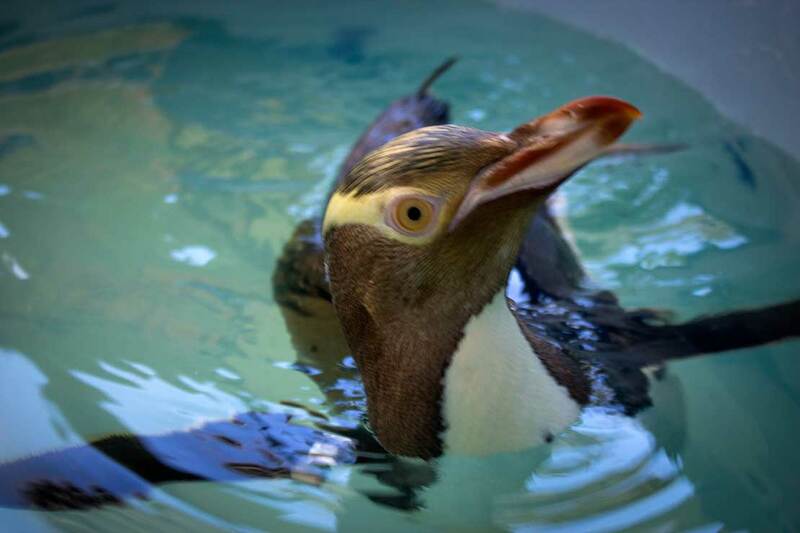 Since the cast’s removal, the penguin has been doing laps in the pool for conditioning. “Swimming keeps the weight off them and is ideal for reconditioning back to the wild,” says Ms Nijman. The recovery in the new Wildbase Hospital has been made more comfortable thanks to more than one isolation room, allowing the penguin to have this own space as well as other wildlife under the Hospital’s care. The penguin will be flown for free within the next few weeks, as part of the Department of Conservation’s deal with Air New Zealand for endangered animals. “We do worry for them once they go back, but they belong in the wild,” says Ms Nijman. “Things would’ve been pretty bad if the foot was left alone making the penguin vulnerable to infection and predators. We can't go along to the release, but there will be no long goodbyes or hugs, as it will likely be straight into the water and off to hunt.